With over 60,000 Amish living within its borders, Ohio is home to numerous Amish markets. Many can be found in the state’s two largest Amish communities, at Holmes County and Geauga County. Markets selling Amish products can also be found in the vicinity of Ohio cities including Cleveland, Cincinnati, and Columbus, and elsewhere in the state. Find an Amish market near you using the guide below. Know of a good OH Amish market? Let us know in the comments section. Finest Amish cheeses and meats, as well as baked goods from an authentic Amish bakery available every Saturday morning. 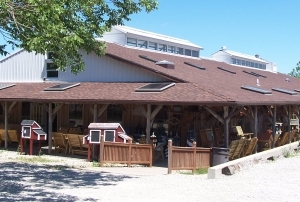 Walnut Creek Amish Flea Market is one of many popular tourist destination in Ohio Amish Country. Among a ragne of products from both by Amish and non Amish vendors, you can find the Amish Country Bakery providing a broad choice of Amish-baked breads, cookies, bars, cakes and pies. Dutch Valley Market is part of a complex including Dutch Valley Restaurant and the Carlisle Inn. The market features a range of homemade Amish products such as all-natural meats, traditional foods, cheeses, canned goods, jams and jellies. Amish-owned and operated business, features Amish baked pies, breads, cookies, pastries, meats, cheeses, canned goods, jams and jellies among handcrafted indoor and outdoor furniture, playhouses, play sets, barns, sheds and more. 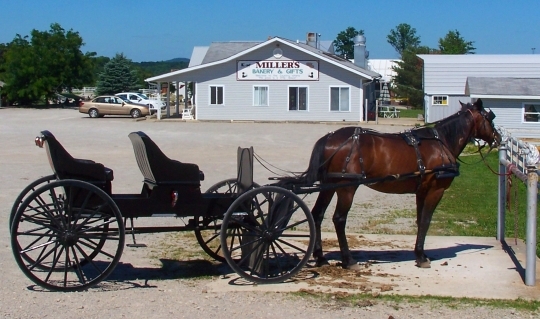 This is an Amish owned business operated by the Miller brothers, in business for over 30 years. They carry a wide array of Amish-baked goods, bulk foods, cheeses, meats and much more. Broad selection of Amish made foods, fresh produce, cheeses, and meats. Locally made foods and goods by Amish and Mennonite vendors. Provides a variety of Amish groceries including bulk foods, cheeses, dairy. Amish operated restaurant, bakery and gift shop, located in Geauga County in northeast Ohio. Family owned business, the only one in the area of Fremont, OH. Carries a broad choice of Amish made meats, cheeses, canned and baked goods and more. Troyers Country Market was established by Jonas Troyer in 1961. Features a large selection of foods, meats, fresh produce and grocery items made both by Amish and non Amish vendors. Special line of Amish wedding foods available. Meats, cheeses, jams, pies, jellies, candy made by Amish from Ohio communities. Broad choice of products both made by Amish and non Amish suppliers. Family owned and operated business, features fresh fruits, vegetables, flowers, bedding plants, fresh cheeses, meats and Amish baked goods. Offers a vast array of products supplied by different vendors including Amish ones. Some Amish made products including baked and canned goods, butter and milk. Fresh local items provided by Amish and Mennonite farmers. Features a range of cheeses selected by hand from Ohio vendors including Pearl Valley Swiss, Walnut Creek Swiss, Guggisberg Swiss, Ementaeler Swiss and Heini’s Swiss Cheese. Hershberger Bakery and Miller’s Bakery. An extensive selection of products from foods to crafts and furniture. Some Amish homemade goods available as well. Carries eggs from Amish farms. Amish pies, cheeses and grocery items available. Offers some Amish made products including jams and jellies, relishes and more. Amish baked goods available every Thursday including pies, rolls, cookies and breads. A broad choice of Amish made products such as baked goods, bulk foods, jam and jellies, pickles, candy, honey and more. Family owned market, specializes in fresh picked sweet corn, tomatoes, peaches, apples and more. They provide some Amish jams, jellies and candies as well. Is there an Amish flea market near Dayton Ohio? Carfagna’s Market in Columbus, Ohio sells Amish meats, cheeses, jellies and other things. They are at 1405 E Dublin Granville Rd, Columbus, OH 43229 and the website is carfagnasmarket.com. Wassler Meats in Cincinnati also sells Amish meats, cheeses, jellies and other things. They are at 4300 Harrison Ave, Cincinnati, OH 45211 and the website is wasslermeats.com.